Giclee print on Hahnemuhle German Etching paper, 310gsm, A3 including a three centimetre border around the image. 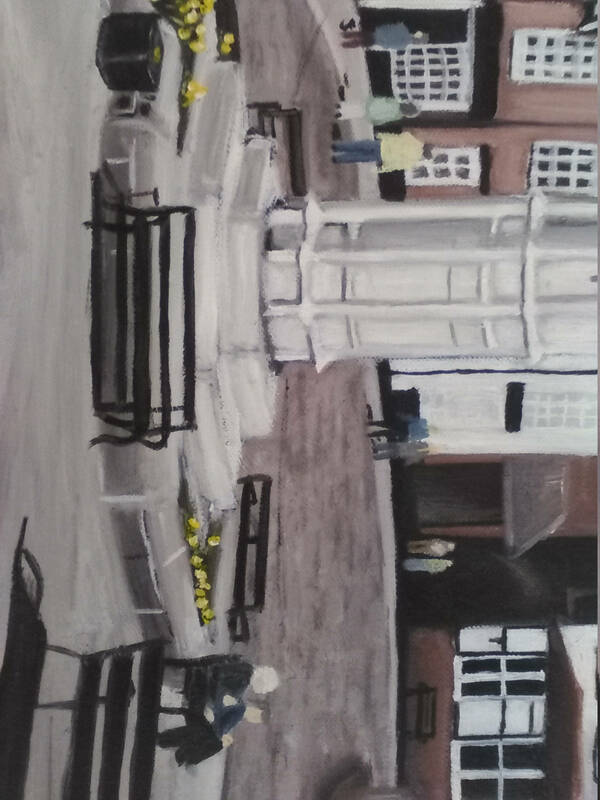 Printed from original oil painting of the Cobbles in Sandbach Town centre by Christian Turner. 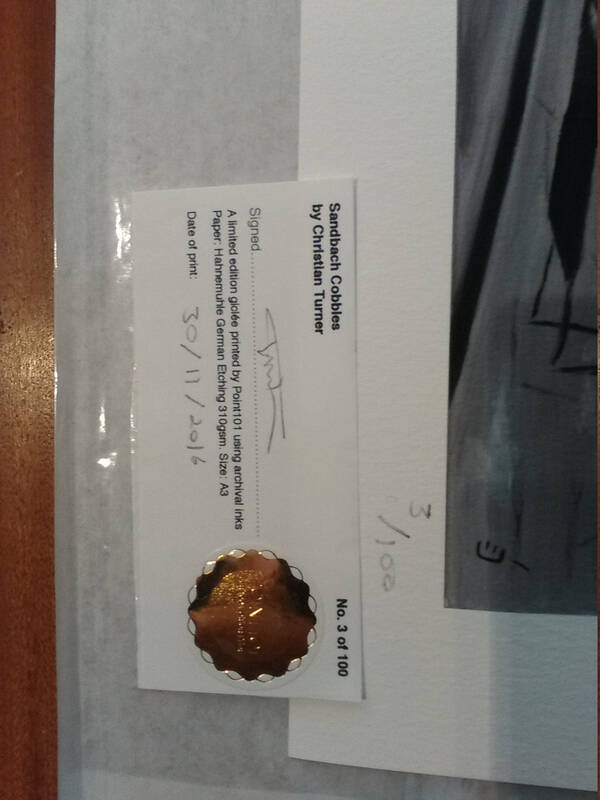 Signed, dated and numbered by artist. 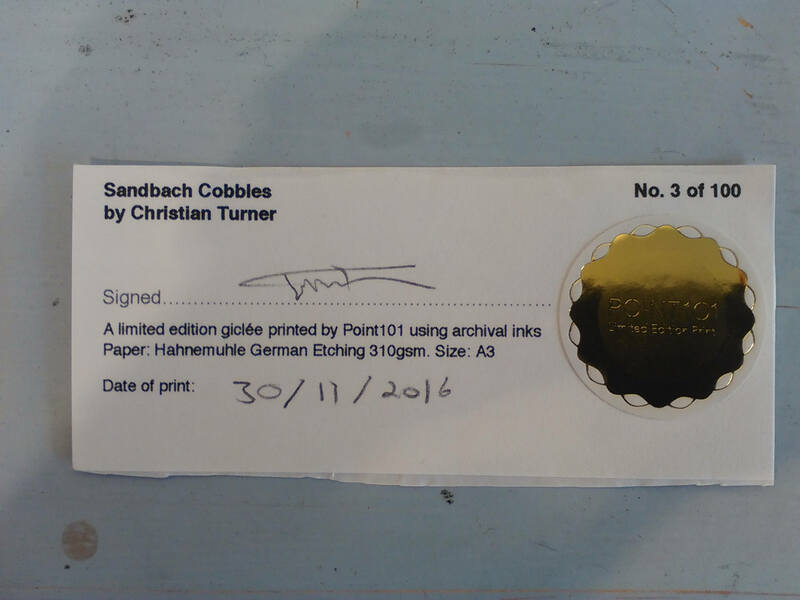 Each print comes with a label of authenticity as a limited edition run. Only 100 will be produced. 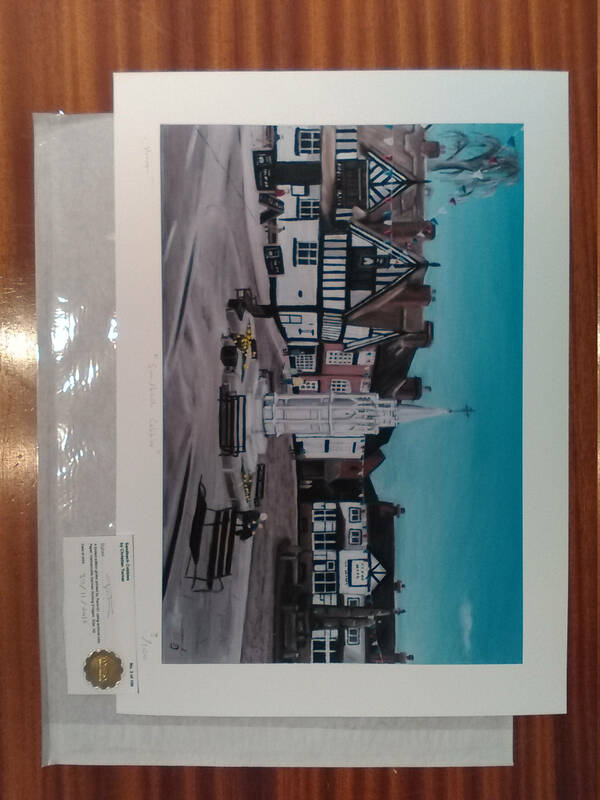 Picture is unframed and unmounted, delivered flat.